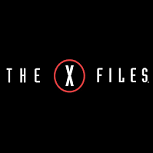 In a Nutshell: For just six episodes this winter, Fox is reviving one of the most successful dramas in network history, the sci-fi series The X-Files that ran for nine seasons. The original cast and several original writers are returning. Unfortunately, the vast majority of its run preceded my personal TV ratings archive. The only season for which I have a complete record is the final one, which averaged a 107 A18-49+ (or 4.60 raw A18-49) in 2001-02. But what little I have from 2000-01 plus its total viewer averages suggest it was almost certainly far bigger than that in prior seasons, especially around the middle of its run. The opening episode previews tonight after the NFC Championship game, then it heads to Monday 8/7c for the final five. Best Case: The X-Files was a bigger show for a longer amount of time than most of the stuff that is getting revived recently, and it has not been forgotten. There is a legitimate thirst for this show, and there's no better way of creating awareness than a massive football lead-in. For one month, at least, it can be a very big hit again. 2.95. Fox backs up the truck to get it back. Worst Case: It may have been bigger once, but it's also much farther-removed from the public consciousness; its finale was nearly 14 years ago, while Heroes and 24 came back to fairly uninspiring results only five years later. The last we saw of The X-Files was a film in 2008, and it had pretty modest box office appeal. The genre audience in this timeslot has been flocking to Supergirl of late. It does no better than last year's Scorpion after the big game tonight, starts with Gotham numbers at best on Monday, and ends with Heroes Reborn numbers. 1.30. Dunzo for good. Likeliest: I may not be the right person to be prognosticating this, since this show finished airing a couple years before I really got interested in TV. I expect it to do fine on Monday, but perhaps not much/any better than Gotham by the end of the run. However, its average is really going to benefit from the post-NFC preview, plus the fact that there are only six episodes. There is always a crapshoot quality when football lead-ins are involved, but I'm gonna say it gets a 4.0ish tonight and then goes from low 2's to 1.5ish across the Monday run. That adds up to a 2.10. I think this will leave it in about the same position as 24: Live Another Day; worthy of a renewal on sheer merit but not overwhelmingly so. Fox will give it another whirl if the creatives want to proceed, but probably just another short order.